For companies in the high tech sector, where time is precious and resources costly, a single mistake can be very expensive. In these cases, Business Process modeling (BPM) is proving an indispensable tool for Quality Assurance, compliance and continuous improvement. Business process modeling aims to create a graphical representation of a company’s procedures, processes and workflows to help identify the bottlenecks and inefficiencies that could be preventing you from taking your next steps. As an accessible, shareable record of an organisation’s functions, it allows individuals and teams to define, maintain and replicate best practice across a business. 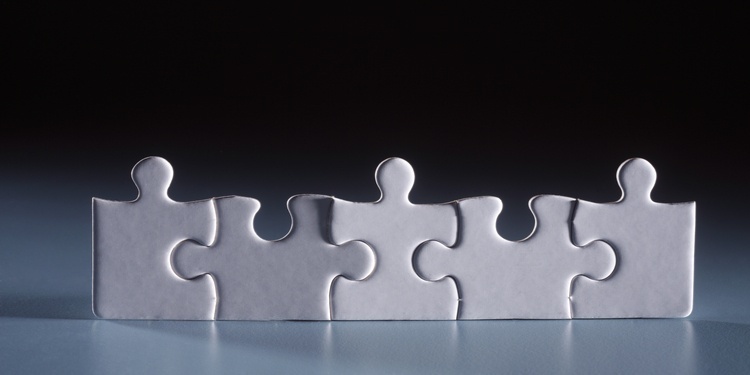 The right approach to BPM fosters visibility, efficiency and collaboration. It enables everyone in a company to identify areas for improvement. It mitigates potential risks, delays, mistakes and duplications. In highly regulated sectors BPM offers a powerful way to demonstrate compliance to authorities quickly and easily. These tools can also be a vital part of achieving ISO certification. A good process model should visualise required business functions with clarity and precision. But at the same time, it needs to capture the full detail of each task and its dependencies to be useful to a business. It needs sufficient depth to document best practice, brief new entrants to a business and satisfy regulators of continued good governance. The best Business modeling solutions use graphical notation (BPMN) to create their process diagrams - which can then be stored and updated dynamically on a company’s document management system. Process modeling means at a glance visualisation of complex workflows. When managed and approved by key stakeholders, these process models can reduce the risk of misinterpretations, miscommunication and delays. The right business management system will ensure that changes and updates to these models are handled in the most orderly way so that mistakes can be captured and corrected in real time. This is where a good DMS comes into its own. Contributors need to add their content to a well-organised system with clear workflows. Every object within a workflow should be linked dynamically to the documentation that supports the process it describes. Versions must be controlled. Ownership must be clear. Reviews must be structured and easy to follow. Approvals must be explicit and trigger next actions. Publishing must be automatic. Imagine a high tech production line where every process and detail of the workflow is governed and documented using just this kind of dynamic business processing modeling. Where there is uncertainty or confusion about requirements, employees can reference these models with confidence, avoiding errors that would otherwise waste time, resource, or in the worst case scenario, hundreds of thousands of pounds. Mapping processes, graphically and step-by-step promotes a level of transparency across your business that will make regulatory compliance much easier to achieve. For example, the quality management principles that govern ISO9001 certification: “Understanding activities as processes that link together and function as a system” and “an ongoing focus on improvement.” can all be embedded into your company’s working practices with a BPM tool. At the same time, proof of your organisation’s Risk-Based Thinking (RBT) which is a requirement for ISO9001:2015 can be evidenced by your approach to Business Process modeling. Providing employees with clear pathways to retrieve definitive documentation about procedure is an excellent way to cut the risk of misunderstanding. The way your Quality Assurance goals are defined, maintained and monitored through BPM could also be a key way to demonstrate the organisational rigour, good governance and audit trails demanded by ISOISO13485. Enabling a culture of continuous improvement means that a business can streamline their processes to improve efficiency and eliminate waste. BPM allows every individual in a business to identify, easily, strengths and weaknesses within internal procedures and even your entire business model. The power to identify weak links within workflows or inefficient processes, re-evaluate and re-align them to your goals means the business can be constantly improving. A universally accessible BPM tool means every level of your organisation can embrace a culture of agility and flexibility. Powerful incremental changes can be adopted and documented that align all your goals and processes as your business evolves. Within highly competitive sectors, growing businesses can transform the way they work by defining and controlling the development of their processes using these tools. Business process modeling offers a common repository and unified language for communicating decisions, procedures and rules. As part of a complete business management solution, it can form an integral part of a Quality Assurance and compliance strategy. It can empower everyone in a business to identify and instigate change to deliver greater efficiencies. Ultimately, it can improve the way business decisions are made, reducing waste and errors created by miscommunication and ‘document anarchy’. Where complex development challenges have led to the proliferation of chaotic processes, considerable competitive advantage can be gained by focusing on streamlining business functions through improved BPM.